Rwandan President Paul Kagame addresses an audience at Tufts University, April 22, 2014, Medford, Mass (AP photo by Steven Senne). “You requested me to lead the country again after 2017,” President Paul Kagame told Rwandans in a televised address on Jan. 1. “I can only accept. 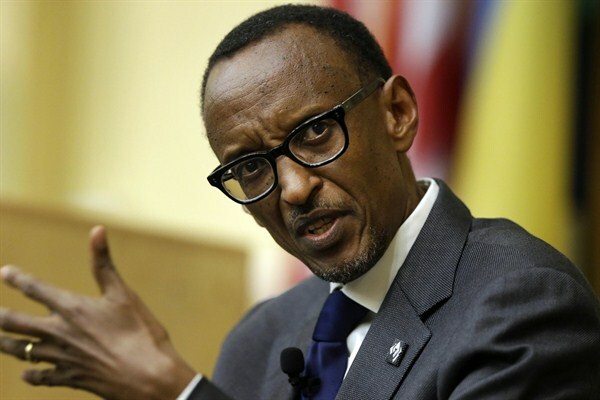 But I don’t think what we need is an eternal leader.” Kagame’s presidency was originally limited to two terms, but in a referendum last month, Rwandans voted to amend the constitution to allow him to run again—and potentially stay in power until 2034. He is now allowed to seek another seven-year term in 2017, and two five-year terms after that. The referendum drew criticism from Western powers, since a disconcerting 98 percent of voters approved it.